I told you earlier about how we like to celebrate Chinese New Year. We attended the new year celebration at our local library over the weekend, which got me excited to make a Chinese New Year craft. 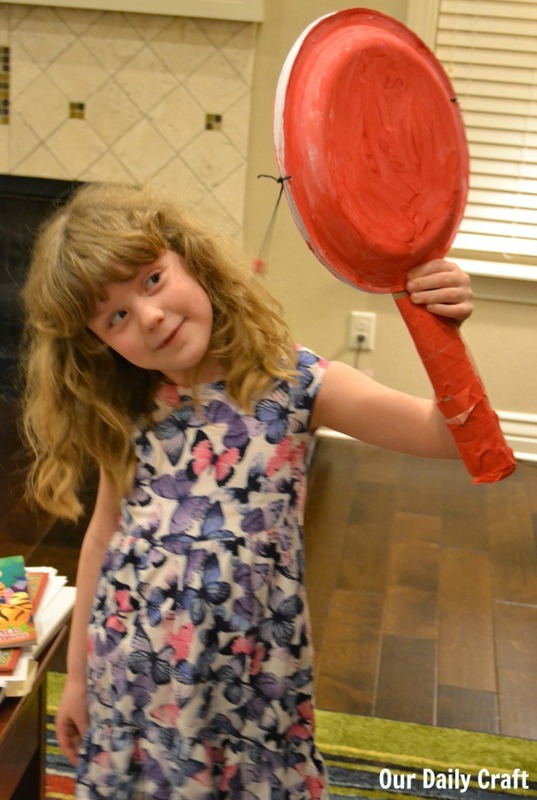 It happened that Daria, of the blog Tiny Tapping Toes, a world music site for children, had sent me a copy of her Monkey Drum Craft, available on her TPT site, to try out. It’s such a cute little project, and you have all the materials you need in your house, I promise. The girl decided, because she had just re-learned the traditions of Chinese New Year, that she wanted her drum to be red (because the evil dragon Nian is scared of red). So first we painted the plates, then we went on with the instructions. 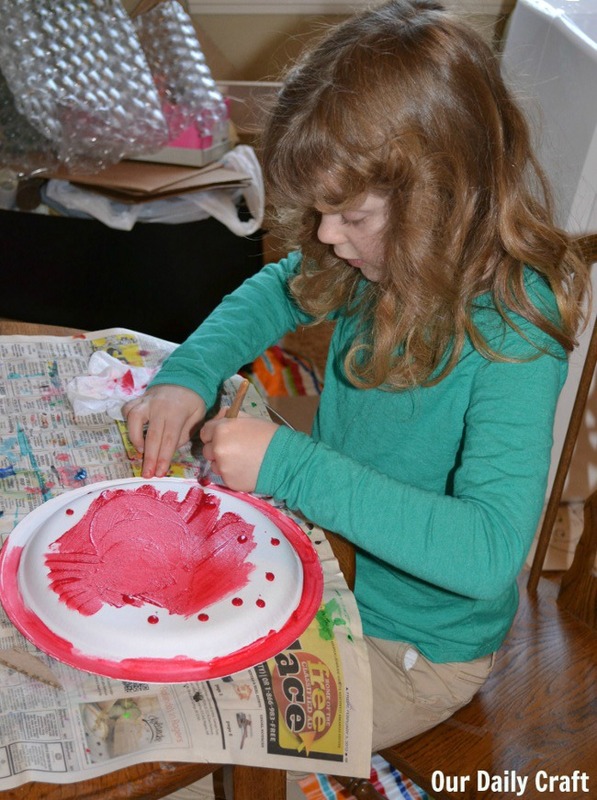 The craft is easy to do and quick other than waiting for paint to dry. The girl had a lot of fun making it and playing it. I couldn’t get a picture where either she or the drum wasn’t a little out of focus from movement! The Monkey Drum is also known as a bolang gu and is a common toy for children used at Chinese New Year celebrations. But they’re actually a real percussion instrument that dates to the Song Dynasty of China and were also found in Tibet, Mongolia, India and Taiwan. The drums are typically smaller than our paper plate version and are played by spinning the drum with the stick. The how-to for this craft is 99 cents at Daria’s site at Teachers Pay Teachers, and while you’re there you can check out a ton of other great resources for teaching world music to children. 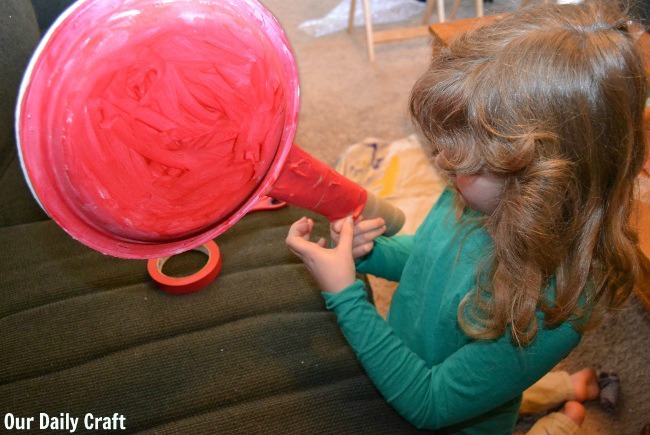 Do you make musical instruments with your kids? I’d love to hear about it!